Former New York City Mayor and billionaire Michael Bloomberg has some advice for high school seniors: forget college, become a plumber instead. 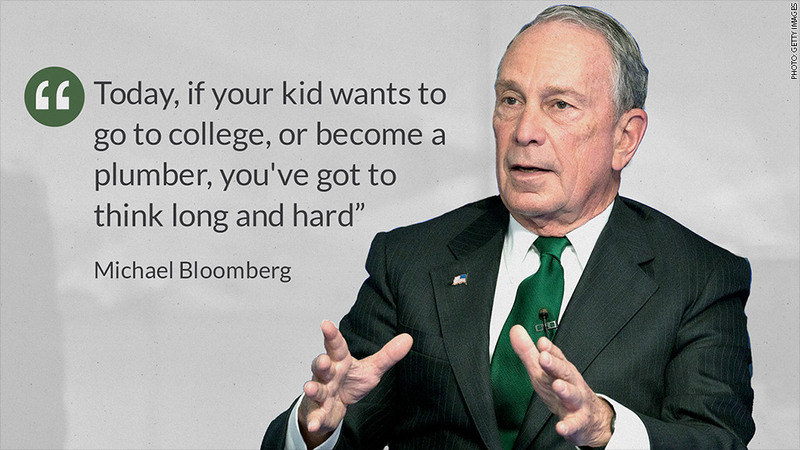 "Today if your kid wants to go to college or become a plumber, you've got to think long and hard," said Bloomberg Monday at the annual meeting of Wall Street trade group SIFMA. "If he's not going to go to a great school and he's not super smart academically, but is smart in terms of dealing with people and that sort of thing, being a plumber is a great job because you have pricing power, you have an enormous skill set," he said. The founder of financial data and news services company Bloomberg L.P. even went as far as to say that students considering Harvard should do the math. You could pay $50,000 to $60,000 a year to Harvard or you could make that much as an apprentice plumber, he explained. Is college worth it? 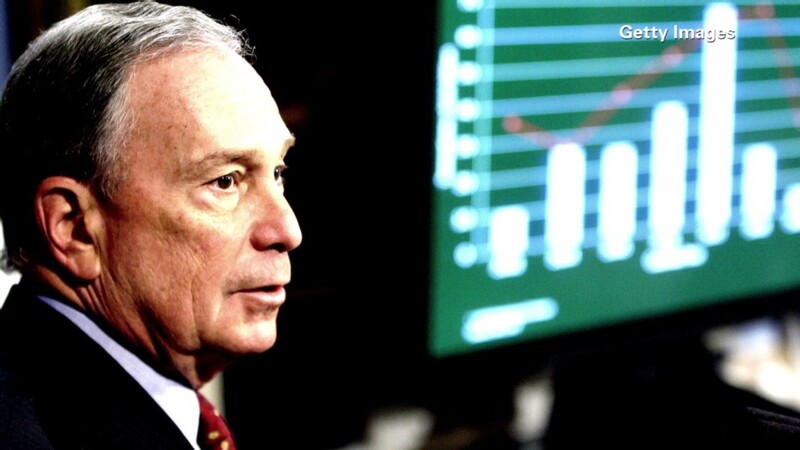 Bloomberg -- who attended Johns Hopkins University and Harvard Business School -- knows what it takes to build a business, and he sees a lot of opportunity for middle class Americans entering the service trades. He mentioned the plumber father of one of his employees to help make the case. "He's got six plumbers working for him, he's a scratch golfer, he goes around playing golf courses I only dream about," quipped Bloomberg, drawing chuckles from the audience. "He's built a business, he's had a chance to do that. He never went to college." The former mayor claimed that such careers are more important now than ever as technology has made it so middle class professions don't pay like they used to. He believes that's why the latest labor statistics show that wages remain stagnant even as employment has gone up. "In law firms now you hit a button and get research. It used to be law clerks looking through books," said Bloomberg. Is the American dream still alive? His remarks were echoed at the SIFMA event by David Rubenstein, co-founder and CEO of private equity behemoth The Carlyle Group. He pointed out that neither of his parents graduated from high school and his father worked at the post office making $7,000 a year. Still, he was a big believer in the American dream. "Today many people in our society do not believe any longer that if you work hard, you go to school, you get a scholarship and you can get to the top," Rubeinstein said. "The idea that social mobility is gone, that is a big problem and a residue of the great recession."